Virtual desktop performance is multi-dimensional and is dependent on many factors such as user workloads, virtual machine storage performance and many other environmental conditions. Learn how to build a VDI infrastructure that delivers the highest quality user experience that is better than a traditional PC. 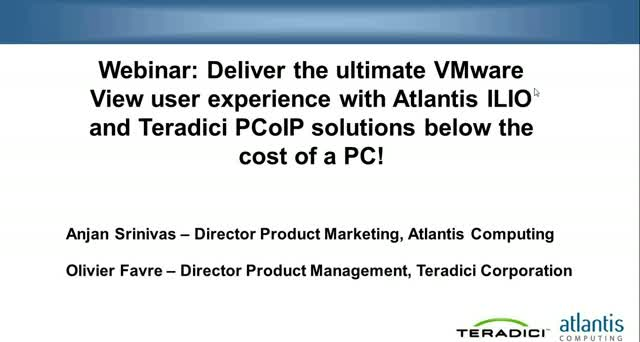 Teradici and Atlantis ILIO are complementary technologies designed to optimize user experience and desktop performance with Windows desktops.